There are so many fabulous goodies I have to show you that I will be brief with my descriptions and just show you all the projects. This is a 2 day blog hop, so be sure to stop by and check out everything tomorrow too! Melanie’s new set: Puppies Galore is so fun to play with! I have two dogs: Percy & Max who are full of mischief! Percy likes to dig in the yard and Max gets upset when they both get in trouble! fun idea: give your pooch some muddy paws like Percy…. Todd & I had two dalmatian’s when we first got married. They were great dogs, they just shed a LOT! People loved coming up and petting them! fun idea: make your mark on the background with the paw print stamp! There is nothing worse than losing a fur-baby! Unfortunately, I had to make a card for a friend who lost their dog recently. This card uses the paw from Melanie’s set along with the die cut from the new mini set: Hugs and the stamp from the same set. My newest set: For the Grad was created because I am in that time in my life where either I have someone graduating, moving up or getting ready to make a life changing move and I had no set which really fit the bill for my stamping needs. Last year I had a 5th grader moving up, an 8th grader moving up and a high school graduate. This year my two nieces graduate from high school and Sophie moves up from 8th grade. We are hosting Emmy & Riley’s party so I had to come up with some ideas for table decorations as well! I needed a good stamp set, so I created one! What I love about it is that it coordinates well with my All Star stamp set! There are great sentiments that work for graduations, new jobs, birthdays, even final’s week … and as a bonus: there is confetti! Warning: there are MANY ideas here – be prepared to be overwhelmed! Also, I used green a lot because those are our school colors! For the Grad is available now at Gina K. Designs! My idea for table decorations for a grad party, made a vintage tag with kraft paper, sponged with dark chocolate ink. Stamped fern image and “Class of 2019” in dark chocolate ink. Choose the grad’s school colors or their favorite color! Mason Jar candle holder for the party. Sponged tag with “Class of 2019” stamped in dark chocolate ink. White rope tied in a knot around the mason jar, yellow ginham ribbon on tag and jar. fun idea: add a gem in their school color to the mortar board or stamp the cap in their school colors! fun idea: let the grad know what you really think using a mixture of the fun sentiments! fun idea: make the diploma stand out by embossing it! Use school colors for the sentiments! fun idea: use other stamp sets in your collection to make your grad card even more eye pleasing. Here I used the stars from All star! fun idea: make a card for a high school senior getting ready to make their final choice…May 1 is the deadline to put down your deposit! Once again, I used All Star to make the card even more fun! fun idea: use stencils to make clouds in the sky and sprinkle glitter on them to make them shimmer. Here is used the clouds from Nature’s Elements to make the clouds. I stamped the sentiment in a different color to make it stand out! fun fact: everyone likes confetti except for the people who have to clean it up! 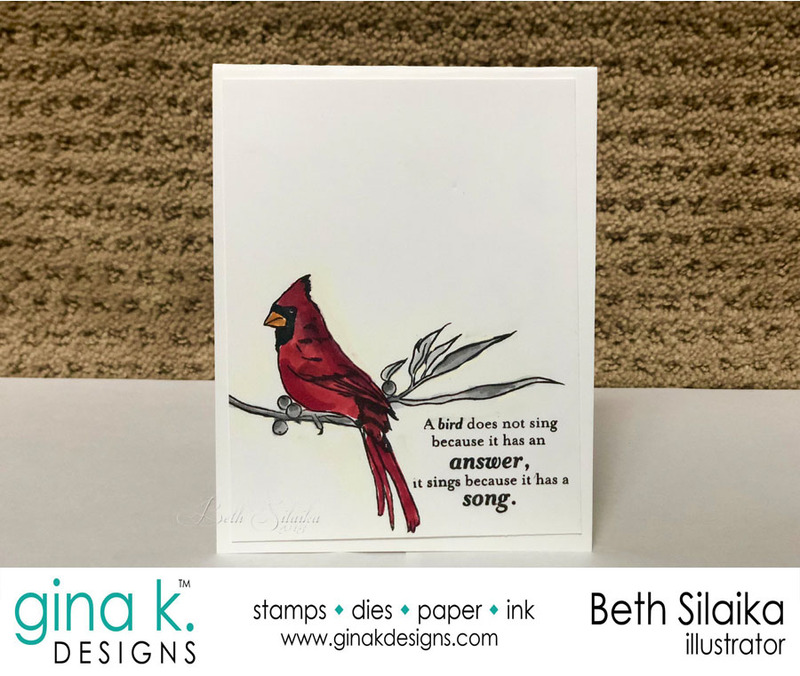 Using three stamps and a sentiment, I created this cute card – maybe for a new job, a promotion or someone heading off to the military (try a red/blue color combo on a white card). Add some sparkle gems for extra bling! fun fact: using the All Star set, the possibilities are endless with a variety of color combinations and the fun sentiments in the For the Grad set! Always add bling for extra special sparkle! fun idea: Using the numbers from Emily’s Cake Toppers set, I was able to emphasize the year. To give it some extra umph I used a fine tip marker to add dots to the green numbers. fun idea: create star confetti with the small solid star cluster in All Star to create a cute background using your school colors! The banner is easily trimmed out and can be mounted with dimensional dots. fun idea: use sequins to make your card sparkle! Adhere easily with Gina K. connect glue for precise placement! Gosh! That was a LOT of cards and projects! I hope that you liked them. I love to hear your favorite project – so let me know in the comments! Puppies Galore & For The Grad are available now at Gina K. Designs! 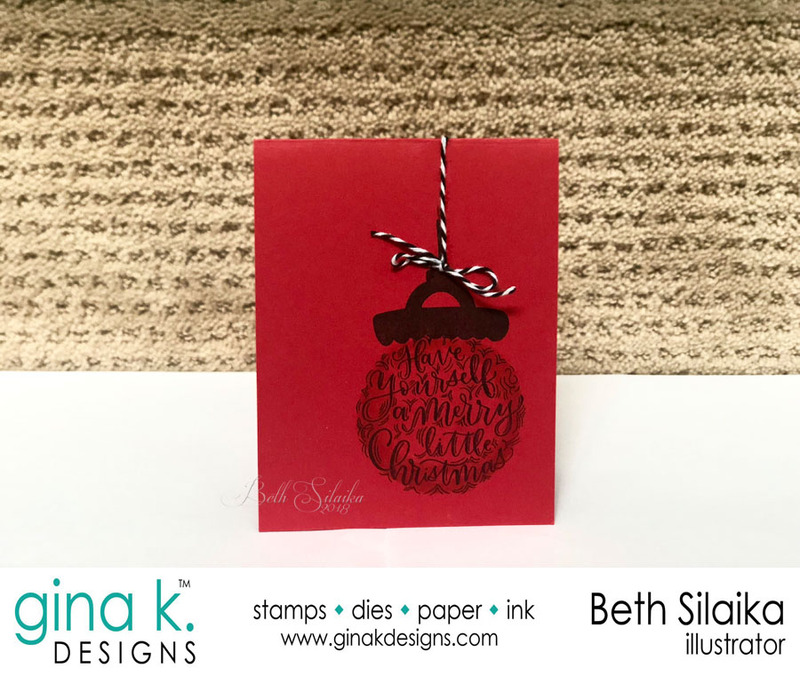 Also, as with all the amazing blog hops with the Gina K. Design team, we are giving away a $50 gift certificate….simply comment on all the blogs and one winner will be selected (and announced on Gina’s Blog on Friday, April 19). Here is the blog hop list: Follow along and leave some love! Welcome to Day 2 of the February 2019 Release Blog Hop. Today we are featuring Hannah’s set To The Moon & Back/Wonderful World. This set is really fun to play with and color! I made this card and my daughter Bella LOVED it! I mounted the colored image on grass green card stock! I used the sentiment and the banner to create this valentine for Todd! I added some c00 grey for the banner to give it some depth! This is a pre-folded watercolor paper base card. I used some blues and purples to look like the night sky. I stamped the constellation images in white ink. The sentiment is stamped in black ink. This is a great set with coordinating dies. It is so much fun!